Student, Traveller, Blogger, Food Lover. Her project is to be an Entrepeneur. 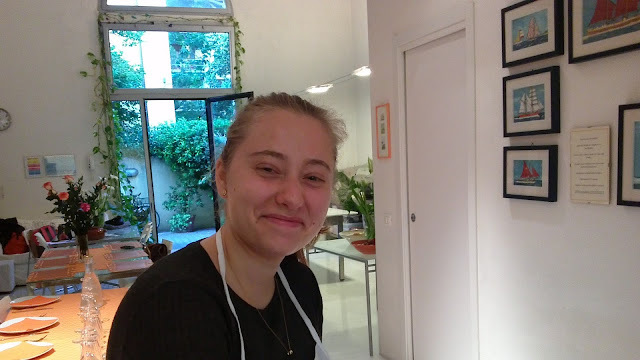 She is at GiglioCooking to learn something about the great Italian Food Culture and a also to find the roots of her mother, Lucille, whose parents are Italians. Ursula is attending cooking classes in different schools, to "have a taste of them" . Her approach to Cuisine in this way will be seen through different perspectives. Which is exactly the Italian style: no uniformity. I think she's got the "Entrepeneur tooth". THANK YOU FOR COMING TO GIGLICOOKING!